‘How do you keep a wave upon the sand?’ Like the Mother Superior in the Sound of Music, aviation regulators around the world may well ask themselves a similar question of the phenomenon that is remotely piloted aircraft (RPA). In the case of RPA, however, one thing is clear: the wave is growing into a tsunami. The tsunami comes because the exponential growth in the RPA sector continues: in their sheer number, the proliferation of types and their widely varying capabilities. In Australia, the number of commercial unmanned operator certificate holders has doubled over each of the last three years; now stands at over 120, and is likely to reach 200 by the end of this year. The recreational market is also expanding rapidly, with an estimated 100 new multi-rotor RPA taking to the skies each week in Australia. And further afield, the pattern is similar, with the US Volpe Center stating in a recent study that remotely piloted aircraft deployments will surpass conventionally piloted aircraft in both the commercial and military domains by 2035. What are the challenges associated with this rapid and accelerating growth? Above all, for regulators, ensuring this is done safely. National aviation jurisdictions around the world are meeting these challenges with varying degrees of maturity and success. In the United States and Europe, with their extremely congested airspace, the challenges are greater, and the pace of change is considerably more measured, often to the frustration of the commercial RPA industry. In the US, the US Congress directed that RPA should be integrated into the national airspace system (NAS) by 2015. However, US federal, state and local policies ban the use of RPA in several jurisdictions. On 27 June 2014, for example, the US National Park Service (NPS) director, Jonathan Jarvis, signed a policy outlawing the launching, landing, or operating of drones on or over federally operated lands and waters. The US also bans commercial operation of RPA. In Spain, on 7 April 2014, the State Agency for Aerial Safety (AESA) banned civilian use of RPA for any commercial purpose. The agency is working on RPA regulation, but has instituted the ban pending the regulation’s release. Australia is different, benefiting from several serendipitous factors—including geographical and regulatory. Australia has vast tracts of sparsely populated land and relatively uncongested airspace. In the late 1990s, early in the history of the commercialisation of civil RPA, Australia recognised the need for regulation. Mal Walker, a flying operations inspector with CASA, was the driving force behind the development of Civil Aviation Safety Regulation (CASR) Part 101, covering RPA, in effect since 2002. However, to try and pin down the wave—to meet the challenges identified above, new regulation is urgently needed. A notice of proposed rule making (NPRM) to create this new regulation, released for public comment earlier this year, received over 90 responses. These are being evaluated, and will inform the new Part 101, anticipated to be in effect by the end of this year. The new regulation will consider RPA from the viewpoint of function (what they are being used for); capability (operating specifications); initial and ongoing airworthiness; and licensing of operators/pilots. An additional regulation, Part 102, covering commercial RPA operations exclusively, is planned, but some time away. Over the past 18 months, CASA has also been driving a public awareness campaign, and as part of that, targeting retail and online electronics and toy and hobby outlets selling the smaller recreational RPA. The campaign focuses on raising awareness of the requirements for flying RPA safely. Over 100,000 print copies of a plain English leaflet entitled Flying with control have been distributed to these vendors, and an electronic copy of the leaflet has been published online. 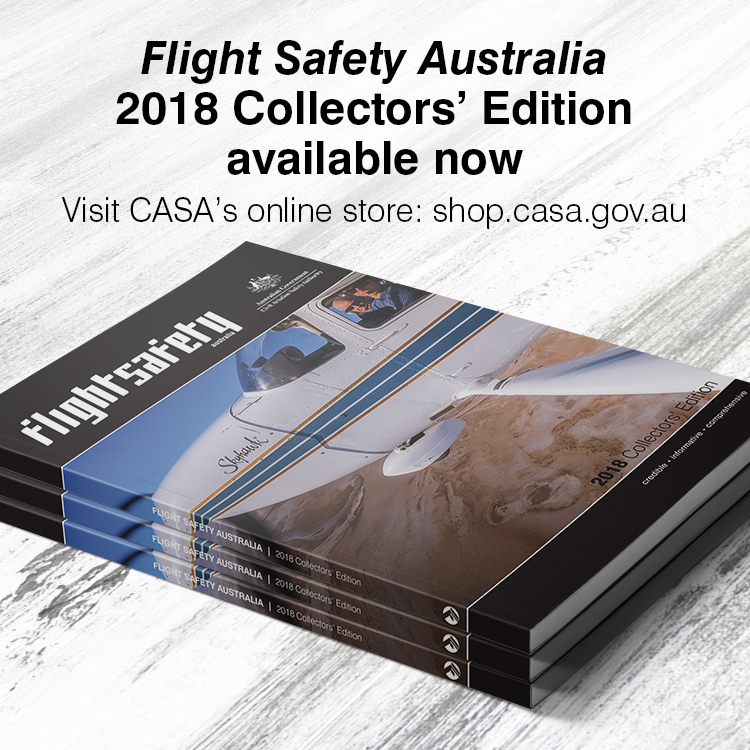 More recently, CASA has also had success in taking the campaign to the source, with two major overseas companies agreeing to distribute the leaflet at the point of manufacture, in the packaging of RPA destined for the Australian market. Sadly, Professor Walker died in 2011 without, five years on, seeing his prediction become reality. At a recent conference in Melbourne on RPA and emergency services, several speakers gave compelling evidence of the role RPA are playing in search and rescue and humanitarian aid following natural disasters. Dr Patrick Meier, of the Humanitarian UAV network, UAViators.org, outlined three recent areas of humanitarian relief—the Philippines, Balkans and Haiti, where UAVs have clearly demonstrated their usefulness. On 8 November 2013, super-typhoon Haiyan, the most powerful typhoon in recorded history to make landfall, hit the Philippines. With winds exceeding 300 km/h, Haiyan killed more than 5600 people, damaged one million homes, and left four million people displaced. The Philippines was just starting to cope with the enormity of this widespread damage when floods again hit the country in January 2014. Several aid agencies and local start-ups used UAVs to help. As described in Patrick Meier’s blog one of them was ‘Danoffice IT, a company based in Lausanne, Switzerland. They used a Sky-Watch Huginn X1 Quadcopter to support the humanitarian response in Tacloban. The rotary-wing UAV was used to identify where NGOs (non-governmental organisations) could set up camp. Later on, the UAV was used to support a range of additional tasks such as identifying which roads were passable for transportation/logistics. Others such as Medair, a Swiss-based humanitarian aid agency, partnering with Drone Adventures, a fellow Swiss organisation promoting the humanitarian use of drones, launched eBee fixed-wing RPA in Dulag town in Leyte Province in early-mid March this year. The eBees took hundreds of aerial images of the disaster-affected area, where more than 80 per cent of homes and croplands were destroyed. These images were then merged to create 2D maps and 3D terrain models, invaluable in identifying areas of greatest need and the most appropriate assistance for affected families. A key part of these humanitarian UAV initiatives is community engagement. As Meier explains, agencies such as ‘Medair and Drone Adventures are also committed to open data. They made the imagery they captured available online and for free, enabling community leaders and humanitarian organisations to use the information to coordinate other reconstruction efforts. Drone Adventures and Medair also presented locally printed maps to community leaders within 24 hours of flying the UAVs. Some of these maps were printed on rollable, waterproof banners, making them more durable when used in the field’. 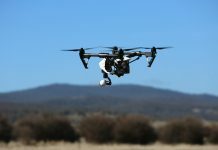 Closer to home, Melbourne’s Metropolitan Fire and Emergency Services Board (MFB) has had a year-long trial of quadcopter RPA running since October 2013. It is early days yet, Commander Will Glenn explained to the conference, with the quadcopters being trialled to improve situational awareness for all agencies; used by incident management teams; for crew deployment and safety; for media briefings; and trialling future hazmat (hazardous materials) capabilities, as well as participating in a range of drills, exercises and demonstrations. The MFB’s softly-softly approach was echoed by other emergency services and law enforcement speakers at the conference—all of whom stressed the importance of risk management in RPA operations, careful and intelligent management of the massive volume of data RPA generate, and privacy issues. The MFB’s quadcopters proved their worth during Victoria’s February 2014 bushfires. For 45 days, fire burned in the Hazelwood open-cut coalmine, creating toxic fumes and limited visibility. RPA fitted with infrared imaging were able to identify hot spots, enabling much more accurate targeting of firefighting efforts. However, Glenn cautioned that ‘You can have too much technology—the influx of live images and data must be controlled, and not a deterrent for those who don’t need the distraction.’ Safe and appropriate operation is the key. The minerals industry, traditionally a large (and high-paying) consumer of aviation services, is expanding its demand to include unmanned aviation. 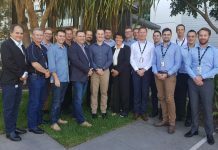 A recent conference in Perth explored the enormous potential of UAVs within mining and resources operations. 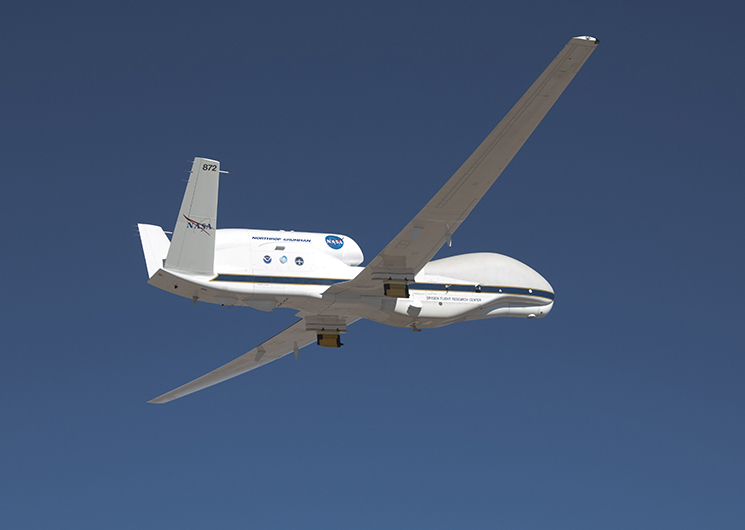 RPA offered advantages of precision and safety, Smith said, noting that with differential real-time kinematic (RTK) GPS they could fly autonomously with accuracy within 2cm. ‘They can also inspect more safely than any human’, Smith said. ‘If you want a human to inspect a flare stack you’ve got to turn the thing off and let it cool down. In the North Sea, RPA were being used to inspect beneath oil rigs, keeping humans out of an environment of long falls and rogue waves. 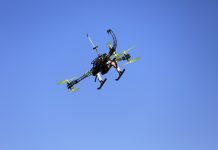 Richard McShane, of RPA operator White Knight Aeronautical Systems said remotely piloted aircraft were doing things that had been thought impossible for them only a few years ago. ‘The paradigm was that you can’t use aerial photography for survey. That’s no longer true’, he told the conference. As the RPA sector gains experience it also gains insight into the unique risks and benefits of its corner of aviation. Commercial RPA operator, James Rennie, said the novelty of RPA was a risk factor in itself. This had been made clear to him when a manned agricultural aircraft and his commercial RPA had a near miss after the manned plane, whose pilot knew about the nearby RPA operation, flew over to take a look. A theme that emerged strongly in the Perth conference was the choice facing the RPA industry. Several models were possible, such as an in-house model, where companies establish their own RPA division, or a service provider model, where RPA operations are outsourced. In some ways it is a similar split between the fly-it-yourself model of general aviation, and the paying passenger model of air transport. Dow, whose background is in mining, said the stringent safety culture of mining had meshed well with the setting up of Territory’s UAS division.